Thank you to everyone who came out for our Community Yoga Day last week! I am loving these so much we’re going to continue. Next one is Monday May 27th at 4:30pm, hope you can make it. This Tuesday at 5:30pm we are having another Infinity class sampler where you can experience Nia, Qi Gong, Pilates Fusion, Forrest, Restorative Yoga, and Forrest Inspired Vinyasa. If you’re planning on attending make sure you let us know so we can save you space! Since next weekend is Easter we have a few changes to the schedule, make sure you check it out below. What a great way to try out new classes and teachers! Make sure to register so we can reserve a space for you: 507-453-7941. Join Elle Newman for an all-level, beginner-friendly practice. 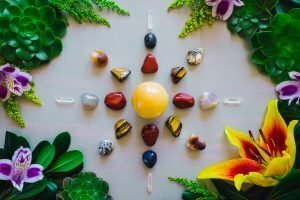 Elle combines Forrest Yoga core work and unique sequencing with Vinyasa openness to bring you a class that leaves you feeling strong and open. Make sure to register so we can reserve a space for you. 507-453-7941. Cost: Free. Space is limited. Please RSVP at 507-452-1815. Make a lunch date with your yoga mat at the Co-op! 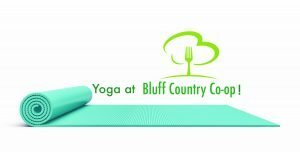 Bluff Country Co-op has partnered with us to offer you a free yoga class in the Co-op’s Community Room on the 3rd Tuesday of each month. De-stress and re-focus while getting your yoga fix during the lunch hour. This all-levels 45-minute yoga sequence will help create balance in the body and mind and, of course, connect with and honor the light within us all. Would you like to bring more relaxation to your week and help your body in its natural healing processes? 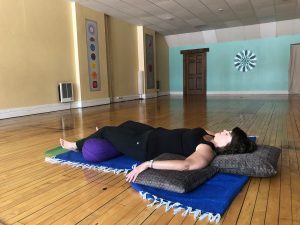 If so, Restorative Yoga and Yoga Nidra are great choices for you. After some gentle movements and restorative yoga, we will settle in to a Yoga Nidra practice. When: Sunday May 19th 1-3:30pm. 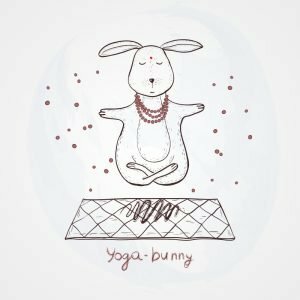 Have you ever yearned for a longer practice, with a luxurious time to warm up, time to get deeper into your poses, and end with a guided meditation? This retreat is created with my current students and past Forrest Yoga students in mind. If we’re not currently practicing together please talk to me before you register. Unless otherwise noted, all classes run an hour. * Held at Bluff Country Co-op see below for details.